Get a quick-read email daily that continually feeds your motivation. You regular cheerleader building you up with encouragement every day. Join our Facebook Closed Group to share in the journey of manifesting the love, success, and desires of your heart with like-minded people. 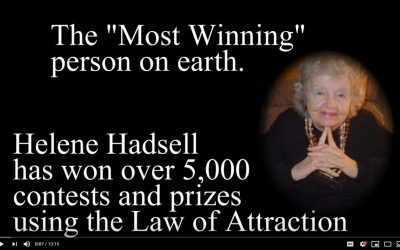 Over 18 hours of free online teaching videos covering all the topics of the Laws of Manifestation: Law of Creation, Law of Attraction and Law of Allowing. 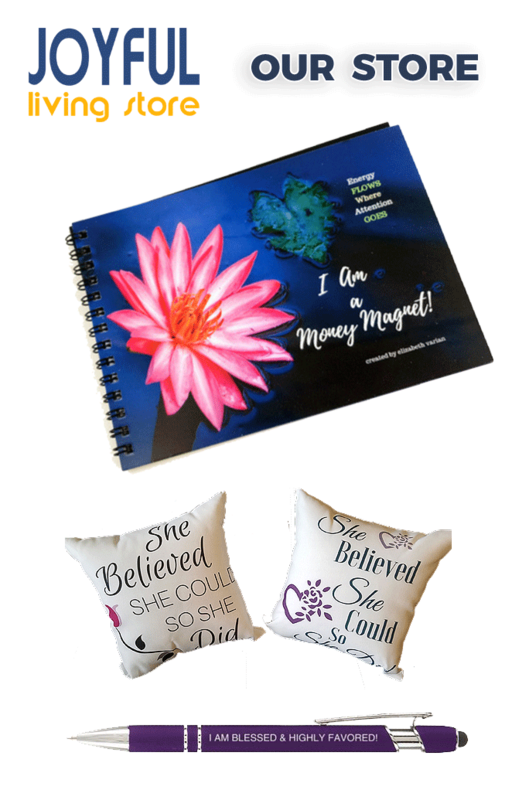 Keeping consistent with our purpose to inject ‘JOY’ into the lives of others, we are consistently designing new products to keep and bless others with to focus on the joys of life. 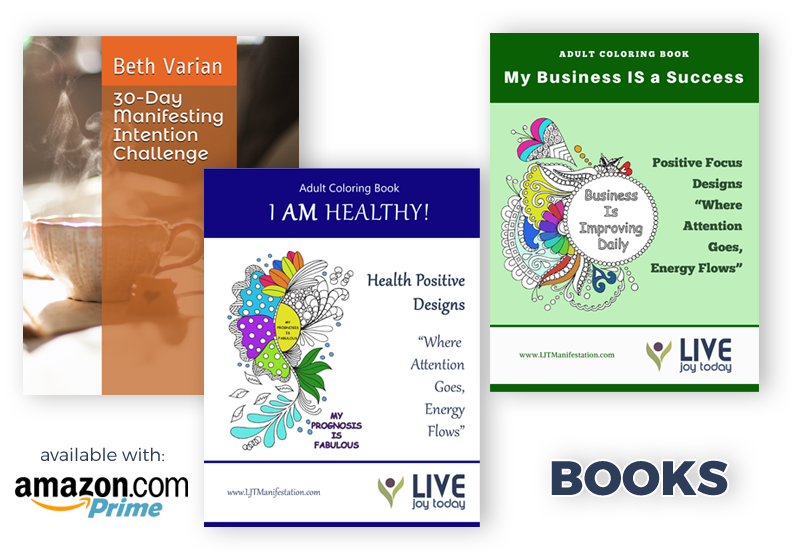 Beth authors various books as manifesting tools. 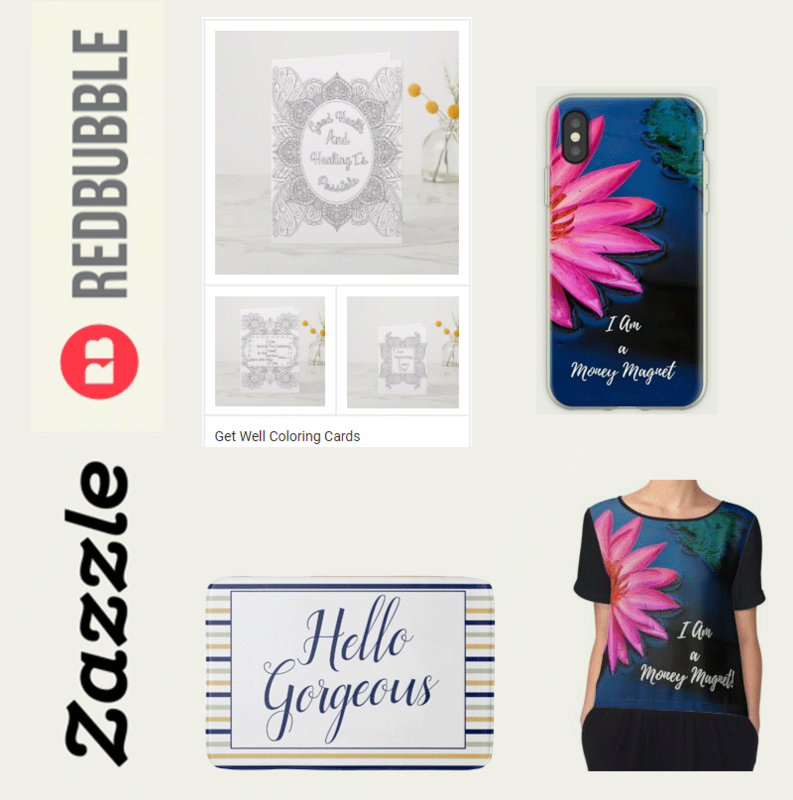 Get your daily dose of Positivity & Motivation straight in your inbox. 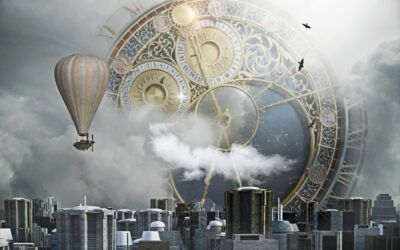 Live Joy Today’s purpose is to teach, create and promote mindset shifts for navigating the journey of life with the focus on joy energy. 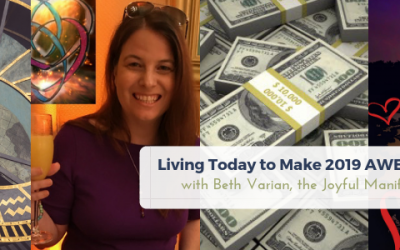 Beth Varian, the Joyful Manifestor, produces teaching videos, leads our community in a Facebook Group, and creates products to help keep our thoughts and lives focused on ‘joy’. Beth Varian has been intentionally creating life since she was around 8 years old. Throughout life, she began learning the principles behind her experiences. This is a topic that MUST be learned if you’re going to manifest your life.